One of my favourite things about rhubarb has to be how long it lasts, both in the fridge after being cut and in the garden. We treat it like it’s gone in the blink of an eye, a bit like asparagus, but the reality is that if you have a rhubarb plant in your garden, it produces for months. Even in the hottest days of summer my rhubarb plants in Manitoba kept growing, right up until mid-August or so. I think it sometimes gets left behind as it’s one of the first plants to be ready in the spring, and it’s forgotten as more exciting produce like berries and fresh greens take over. Yesterday I shared a rhubarb lemonade recipe, and there will be more rhubarb recipes before the season is over (helloooo rhubarb babka, coming your way!) but I’ll try to sneak some greens and not-sweet recipes in there somewhere. 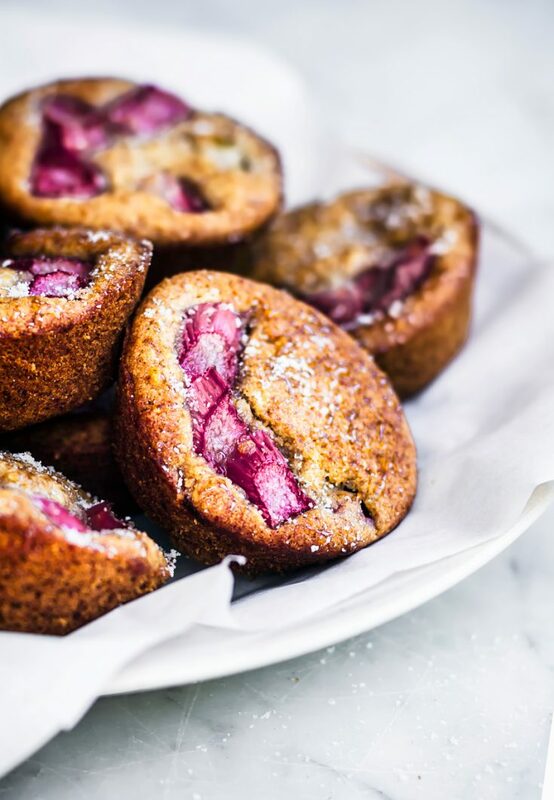 These vegan rhubarb muffins are an adaptation of my blueberry almond muffins, one of my very favourite recipes, with finely chopped rhubarb mixed in instead of berries. Topped with a little more of the pinkest rhubarb I could get my hands on because aesthetic, am I right? 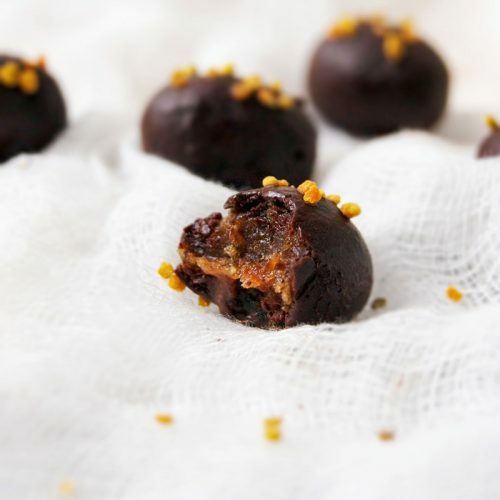 The end result is a softer, slightly delicate muffin – they are vegan, after all, with no weird binding agents – that are totally appropriate for breakfast, snacks, dessert, or dinner if you’re feeling a little rebellious. If you like rhubarb you’ll like these. And if not, well, you should probably learn to like rhubarb because it’s great. I feel like spring is flying by and we’ll be back in Canada for the summer before I know it, and then off to Holland! It seems like we only just moved to Germany. Check in tomorrow for a lemon elderflower popsicle recipe, grown up style. 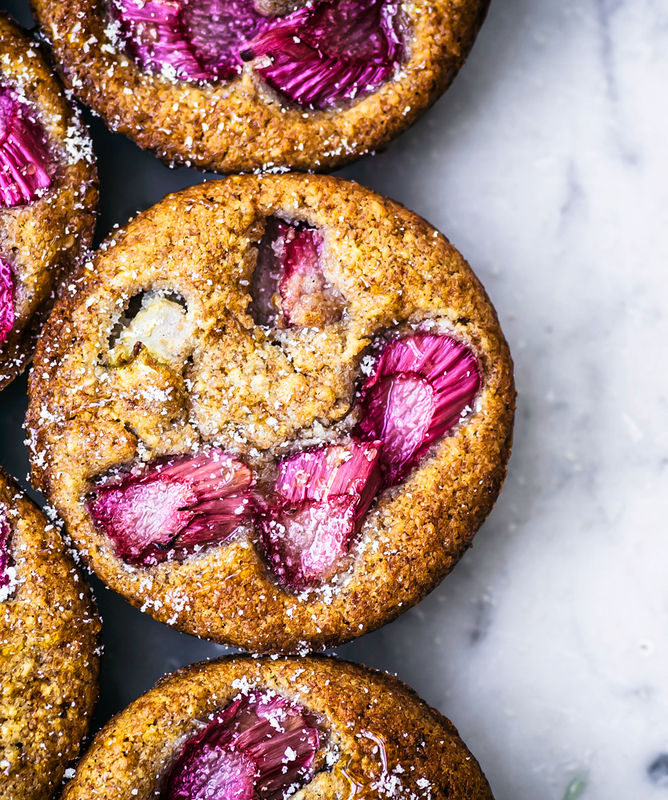 These vegan rhubarb muffins are lightly sweet, with almond flour and maple syrup. Ginger adds a bit of a kick alongside the tart rhubarb, and these are made with whole wheat spelt flour for a healthy snack. 250 ml / 1 cup nondairy milk, oat, almond, etc. Preheat the oven to 190C / 375F and grease or line a standard muffin tin. Chop one stalk of rhubarb finely, and slice the other on a diagonal for topping the muffins. In a large bowl, whisk together the flour, almond flour, baking powder, baking soda, and salt. In a smaller bowl, whisk the milk, maple syrup, coconut oil, and ginger until combined. Add this to the flour mixture and stir until just combined. Fold the finely chopped stalk of rhubarb into the muffin mixture. Fill the muffin tins evenly with the batter, then top with a couple pieces each of the sliced rhubarb. Bake for 20-22 minutes, or until golden. Cool for ten minutes in the tin before removing and cooling fully on a rack. Best stored in the refrigerator if your house is warm, or in a sealed container on the counter for up to three days. * Maple syrup combines nicely with the flavours of the rhubarb and almond. If you don't have any, runny honey is a good substitution, if slightly sweeter. This post was originally published in June 2018. 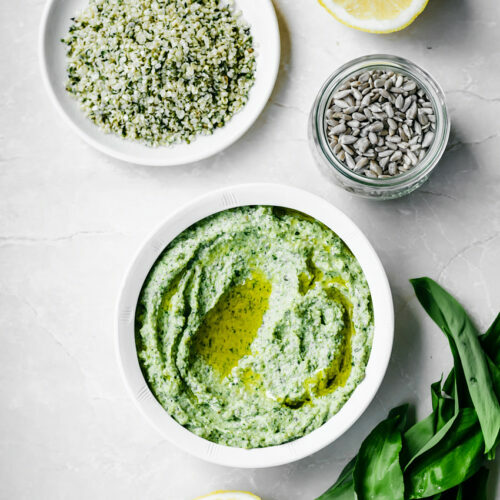 It has been updated with improvements to the recipe and text as of April 2019. I’m so happy you made them! That’s really strange that it took so long, did you change anything in the recipe? I’ve made these several times and have never had any problems with the batter being too wet. Sounds good with the orange zest! Love your insights about rhubarb season – thank you! At my last place, it grew like crazy in my backyard…which I took for granted. Sigh. Nowadays, I can barely stand to buy it in the store. It’s so plentiful, generous and long-lived in the “wild”! 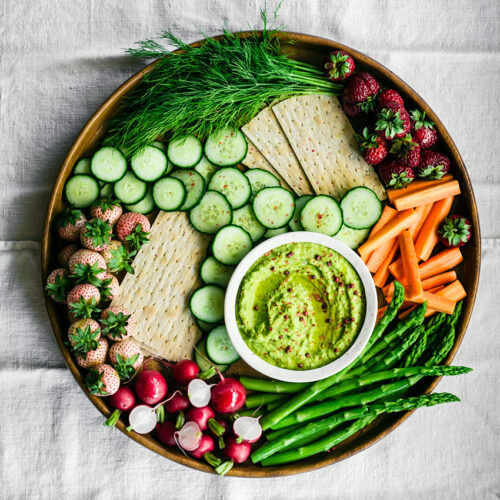 Hi, would buckwheat or oat flour work here to make these gluten-free? I would be hesitant to make these particular muffins gluten free as they are quite delicate, but if I were to recommend one, I’d choose buckwheat flour. If you do that, I’d suggest adding in a couple teaspoons of arrowroot flour to help bind them.